Home » News » What is the Container shipping outlook in 2016? In the recent years, container freight industry has been on the downward trend in regards to profit made cutting down to high sales revenue obtained from this industry. This phenomenon has seen carriers struggling to find a permanent solution to this catastrophe compelling some to work independently embracing such initiatives like organisational cost-cutting. These efforts seem futile though they are providing tangible benefits hence the industry is regarding industrial consolidation with some of them like China shipping container lines and Cosco merging. This will help a great deal as management of the orders will be easy reducing the number of competitors on the market. This, however, may jeopardise the company?s chances of lending money as some of the businesses that are merging have a trail of debts behind them. The companies will increase their fees of services offered to explain such shares a move which sees them lose most of their customers. This unstable market trend keeps the whole industry on a downward movement. Global trade has been somehow to stall as it is well affected primarily in routes like Asian-Europe where key countries like China are on the receiving end of this. Demand and supply within the industry coupled with increased fuel costs, existence longer payment cycles and strict mode of payment can attribute to an imbalance. 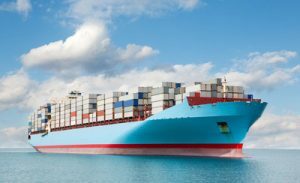 Of late emergence of the ultra large container, vessels have led to the limiting of profits made in this industry. The benefits seem to shift to the lines based on countries with large and well-developed ports to handle such big marine engines. Figures indicate that the trend continues even in 2016 through a confident expectation of this to avert with a 4.6% come end of 2016 and 4.7 in 2017. However plunging demand have led to great recession in the year 2016 of freights rates from 21-44% of which have affected the key financial indicators. This has led to most shipping companies especially those from the middles east to be on the verge for bankruptcy while some are already bankrupt. The anticipated positive results only short live and plan for constant improving trend should be laid out. The figures for the last two years seem to be shifting upward for the shipping companies, but downward trends are enormous. The profits gained in the favourable market season are all drained during the market drought season. Indications show this good markets only live for a short period before the worse times surpasses them, leading to companies to be of the financial threat from overcapacity.
? Aliasing with external shipping companies (though this faces challenges in the sense that the companies are more bond to be named after their base country). A phenomenon of the successful collaboration of businesses is airlines which also was also on a downward trend sometimes back.
? Lowering their total cost of operation which should be reflected in the charges their charge for services they offer. Above all, the companies should eliminate all the flaws in their operations.